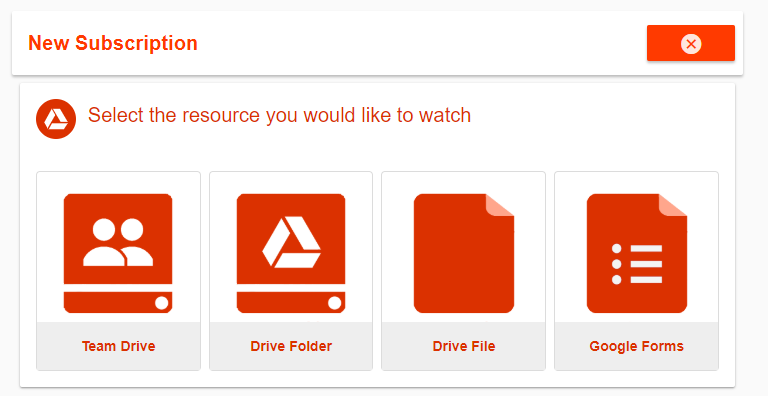 After accessing drivewatcherapp.com and accepting permissions with your GSuite account, you can start creating subscriptions. 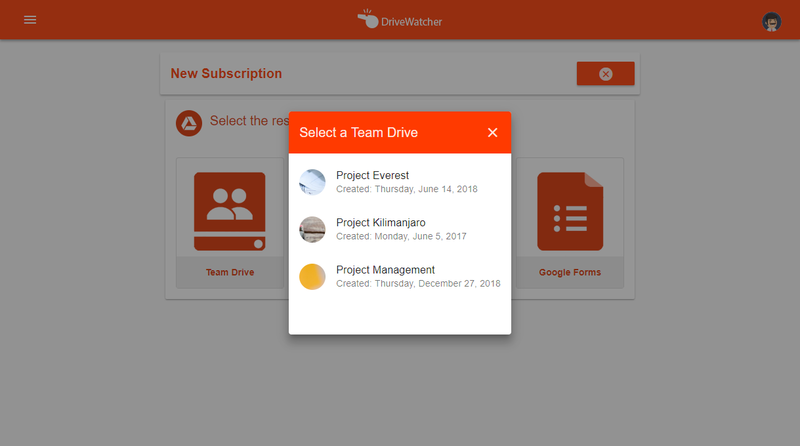 As Team Drives, Drive Folders and Drive Files are pretty similar subscriptions, we are going to explain how to create a Team Drive subscription and a Google Form subscription. Now you need to setup your subscription. First write a name for your subscription. Then select the frequency you want to receive notifications. You can choose between hourly, daily or weekly. 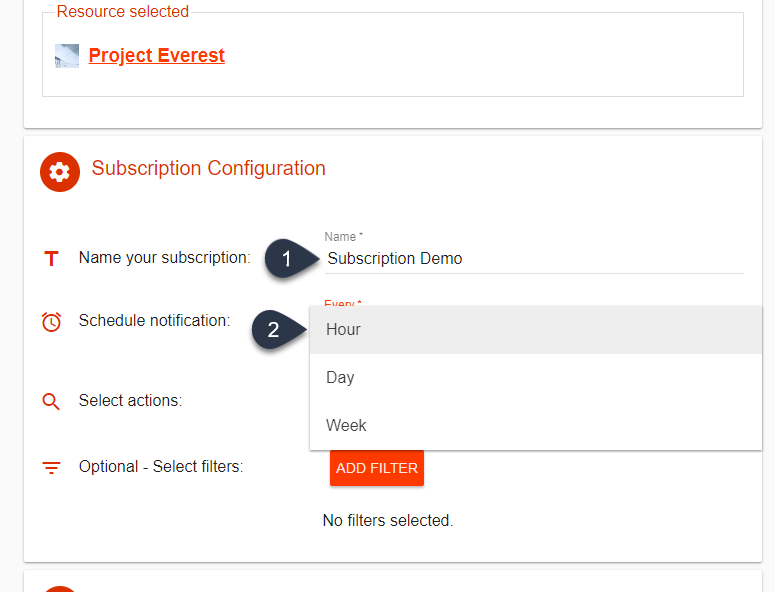 In our example we select “hourly”. Now you need to select which actions you would like to watch. This means, DriveWatcher will send you a notification when any of these actions have been done. You can also select to monitor all actions available. 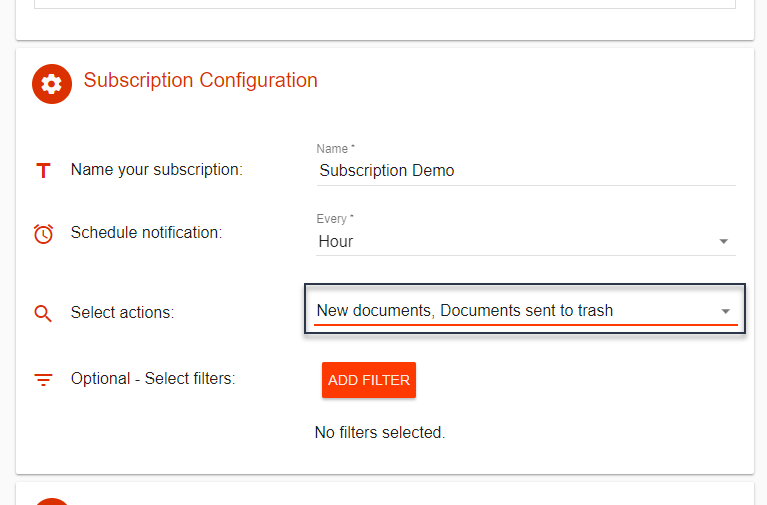 In our example we select “New documents” and “Documents sent to trash“. 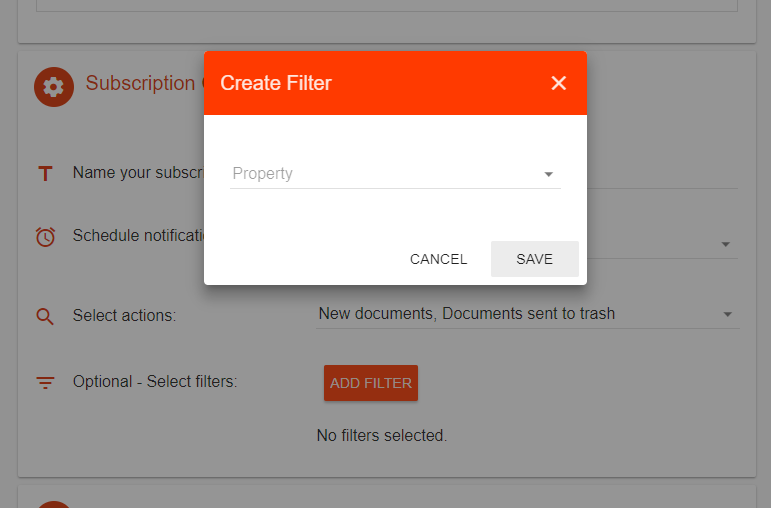 Finally, and optionally, you can set up some filters to match before sending notifications. 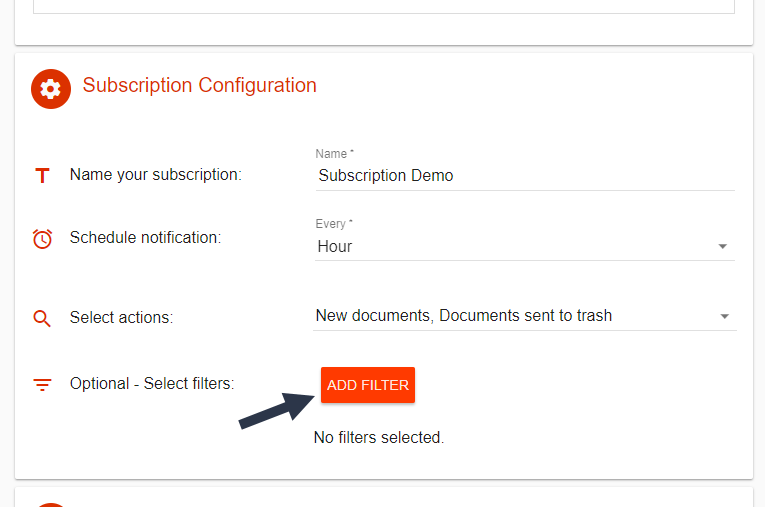 You can add one filter per property in every subscription. 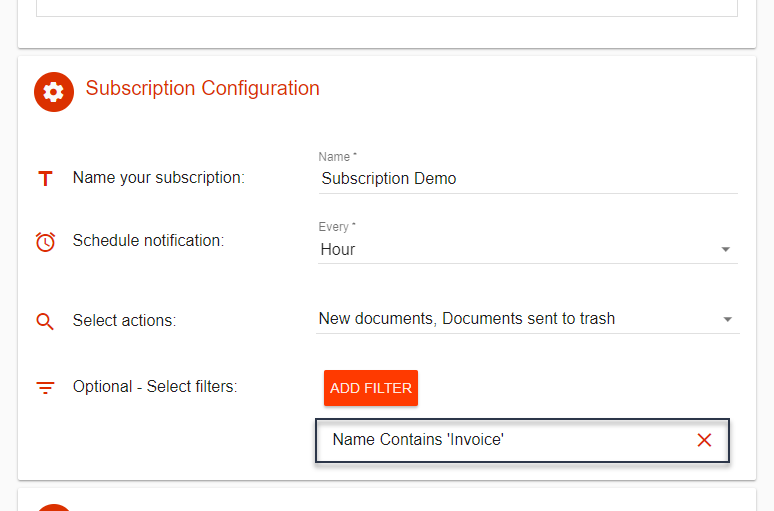 In our example we select to only notify changes from new documents or documents sent to trash which contains “Invoice” in their title. The last step is related with notifications. 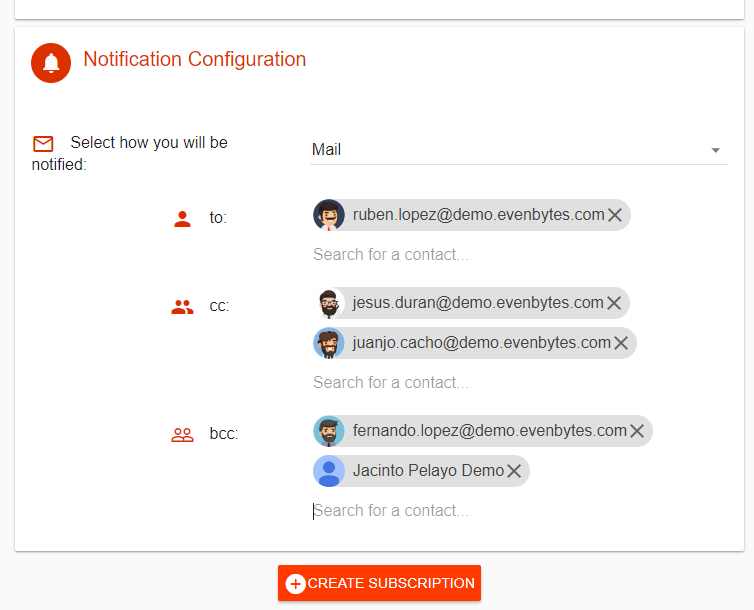 Here you can configure how you will be notified. Nowadays the only option available is Mail. Hangouts Chat bot will be included soon. 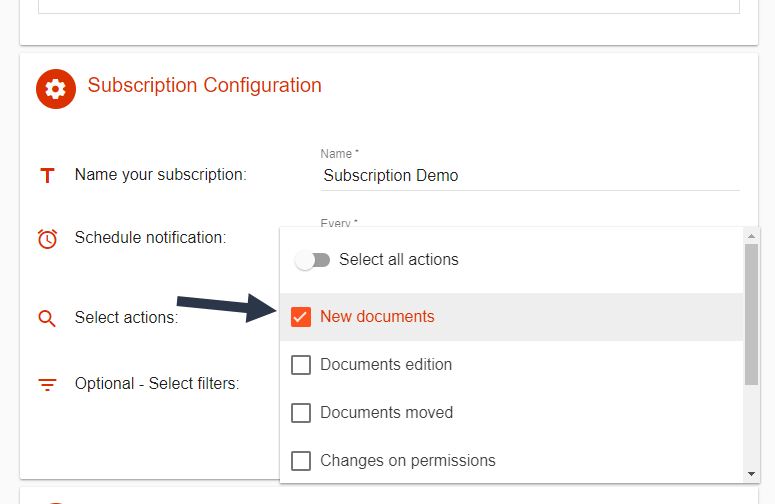 Selecting “Mail” you will be able to include as many users as you want into to, bc or bcc. 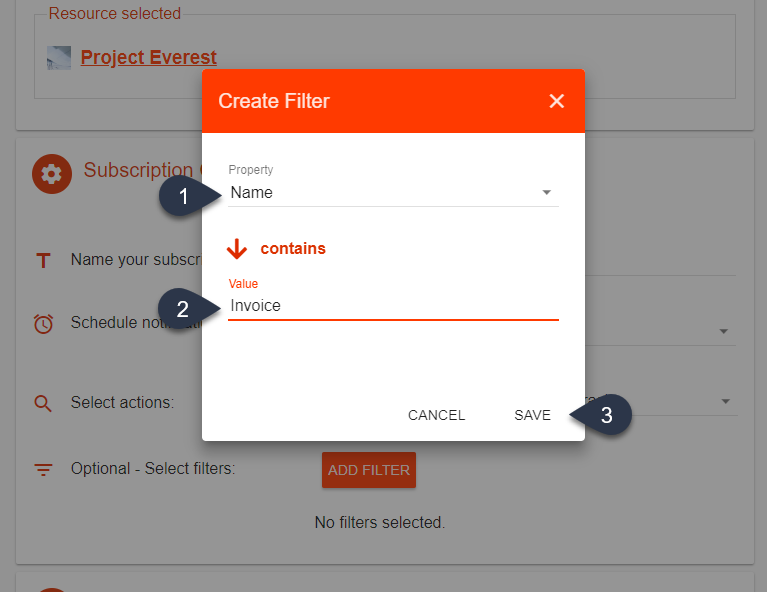 From now on, every hour, if there are any documents created, uploaded or sent to trash, containing “Invoice” in their title, on our Team Drive, we will receive an email with a list of the last of them and we would be able to access to the resource’s activity to see if there were more changes.